La Santa Cecilia Celebrates the Beatles, Migrant Workers and Strawberries. For the last few years, La Santa Cecilia, a Mexican-American band, based in Los Angeles, California, has not only made excellent music, but has also championed the plight on undocumented immigrants in the U.S. Their 2013 song “Hielo” told the stories of intertwined lives in the immigrant community. The video for Hielo included many undocumented immigrant activists including Erika Andiola and her nearly-deported mother. When La Santa Cecilia won a Grammy, they dedicated it to undocumented workers in the U.S.
Now, they have released a beautiful version of the classic Beatles song “Strawberry Fields Forever,” with a video that pays homage to the workers who get the strawberry from farm to table. Naturally, we would not bother you with a political music video if the music was not superb, so enjoy La Santa Cecilia’s lovely take on this classic. Fourth of July is one of my favorite holidays. My husband and I like to spend it with friends and “America’s Favorite Pastime” at Nationals Park. After the ballgame comes more time with friends and family, grilling and a table full of food, juicy watermelon, red, white, and blue décor galore, laughter, and celebration of our country and our great fortune to be a part of it. But most holidays are marked by celebrations with friends and family and food. 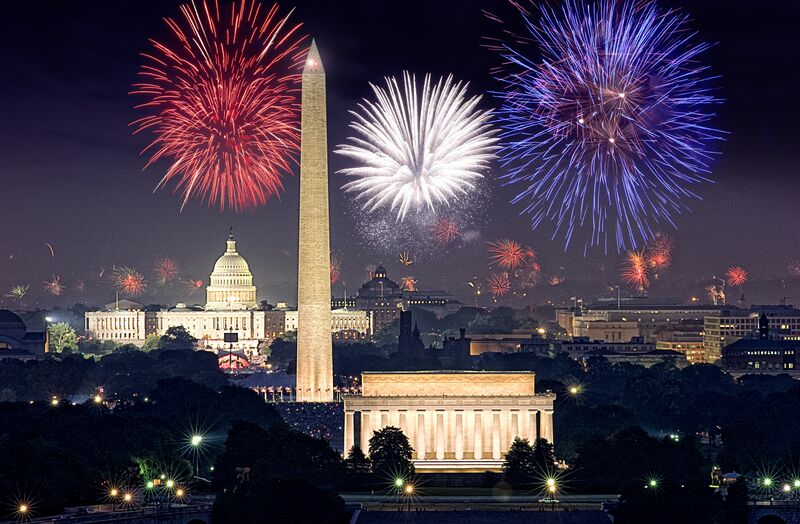 What makes the Fourth of July stand out from all of the other holidays? The fireworks. Ever since I was a kid growing up in the Heartland of Iowa, the fireworks have been my favorite part – whether an hour-long professional show set to music, the town’s display, “Cappy’s” fireworks in our backyard, in-hand sparklers and poppers, or in the event of dreary weather, the sparks flying on television, taking place somewhere with fewer raindrops. Those fireworks draw our attention as we all gaze up at skies filled with flashes of light, vibrant, streaming colors, and loud booms, pops, and crackles. Beyond the spectacle, fireworks are a symbol of celebration – on the surface, a celebration of our country’s independence. But for me, the fireworks aren’t just giant candles to celebrate America’s birthday; they conjure a deeper meaning. They are a celebration of our country’s history of offering a home to the discarded, freedom to the oppressed, and safe haven to the refugee. As Emma Lazarus famously wrote, “Cries she with silent lips. Just as the Statue of Liberty’s beacon of light in her lifted lamp guided immigrants to their new beginnings here in the United States of America, on July 4, we celebrate with fireworks recognizing our country’s historic steps toward a bright future and away from a dark past. This Fourth of July, on our country’s 238th birthday, this same theme still resonates, perhaps more than ever. I think about the asylum-seekers I have worked with – the women seeking to break free from the cycle of violence and oppression, the LGBT youths searching for a place where they can be themselves without fear of harm, and the young girls and boys desperately fleeing gang recruitment and horrific violence. When I hear these brave men, women, and children tell me their life stories and describe their unthinkable journeys to the United States, I know that these asylum-seekers are all doing what they can to step away from their own dark pasts toward a brighter future in this land, where the very skies are a beacon of hope every Fourth of July. On this Fourth of July, as I gaze up at the sky among the “ooos” and “aahhs”, I will be thinking about my clients and all of the asylum-seekers at our borders, who, like our founders, have come to a new land in pursuit of life, liberty, and happiness, the very principles we proclaimed as unalienable rights in our Declaration of Independence. As our country is faced with a humanitarian crisis at our borders, with asylum-seekers desperate, not only for new beginnings, but for protection from persecution and torture, I earnestly hope that our country continues to light the sky, to offer hope in the midst of darkness, to offer safe haven to children and refugees seeking freedom from violence and fear. I hope with all my heart that our leaders – and our own citizens – keep that beacon shining, lighting up the skies with color. On this President’s Day, we wish to add a historical perspective to the robust exercise of executive authority. 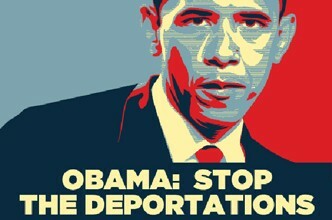 The President routinely tells audiences that he does not have the power to act unilaterally on immigration reform. Frustration and anger have mounted as the toll from deportations rises, and the lost opportunities due to the lack of immigration reform are compiled. The President’s claim of impotency is in direct conflict with how the right wing of the GOP (is there another wing?) sees the President. Recently, the House Judiciary Committee held a charade of hearing on the President’s duty to see that the laws be faithfully executed. The theory: the President has abdicated his constitutional duty to faithfully execute the law by granting deferred action to childhood arrivals. Apparently, the theory goes that the President has a duty to remove all deportable individuals and by granting deferred action to a sub-group of the deportable individuals, the President has failed to do his duty. So, who is right? Is the President a dictator who ignores the laws? Or is he an executive with a limited vision of his authority, doomed to mediocrity? That answer remains to be seen, in our opinion. It will depend on whether the President follows the example of those presidents who have monuments on the National Mall and across the capital or those who are reviled, ignored and forgotten. For a president as historic as Obama, we hope that he embraces a more robust view of Presidential power. 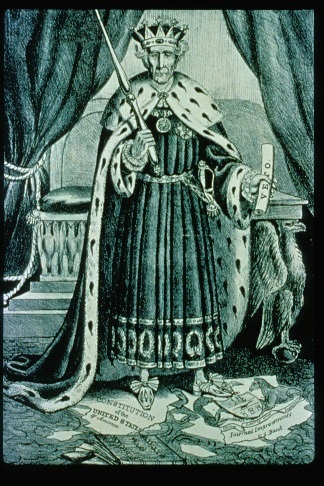 The earliest President who truly revolutionized the role of the Chief Executive was Andrew Jackson. 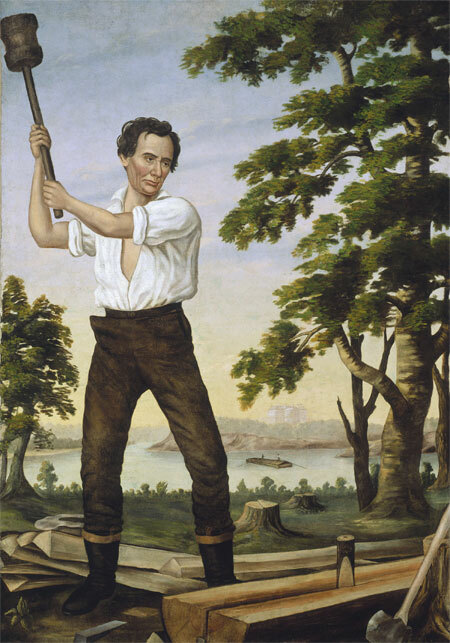 When Jackson took office, he viewed himself as the only national embodiment of the people’s will. He scandalized the country by making arguments to the people in support of his policy decisions. In addition, he broke tradition by vetoing pieces of legislation that he disagreed with. Previously, Presidents would only veto legislation that they thought unconstitutional. Jackson was the first President to veto legislation for the plain reason that he was opposed to it. In addition, when South Carolina asserted that it could nullify a federal law that it did not like, Jackson stood for the not-yet-clear proposition that federal law was supreme and a state could not pick and choose which federal laws it wished to follow. Jackson’s position on nullification provided historical precedent when another President was faced with rebellious southerners. Before taking office, Abraham Lincoln was confronted with the “secession” of South Carolina and several other states. 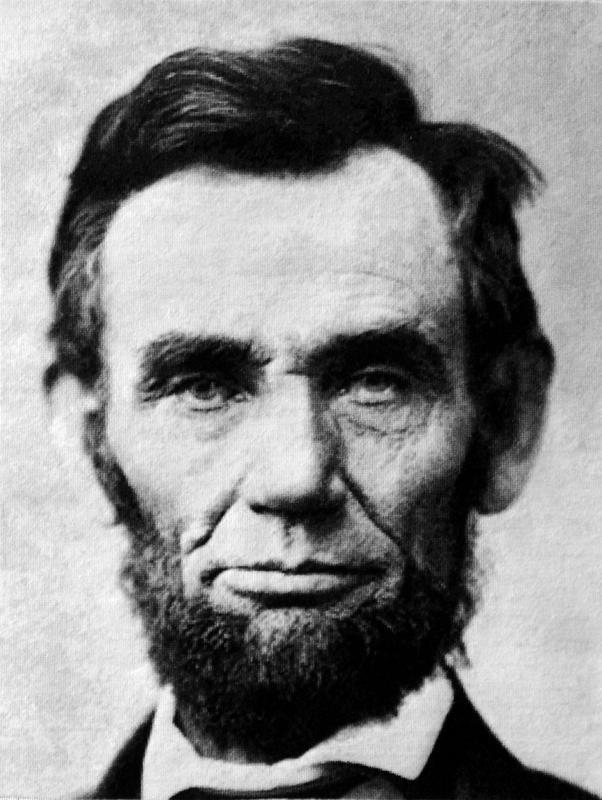 Lincoln refused to accept that a state could secede and decided that his principal obligation was to preserve the Union. When Lincoln called up 75,000 troops in the wake of the Southern attack on Fort Sumter, several other states, including Virginia, seceded. Lincoln arrested secessionist deputies in Maryland and advocated for a strenuous war against the rebellious states. 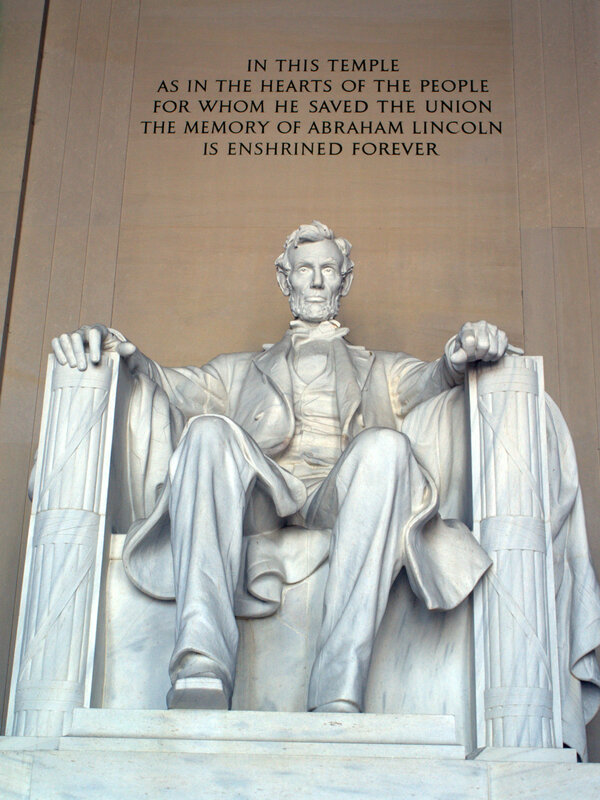 Lincoln exerted his powers as Commander-in-Chief to free the slaves in “territories in rebellion against U.S. authority” in the Emancipation Proclamation. Just to be clear: Lincoln dissolved certain “property” rights in nearly half the country. 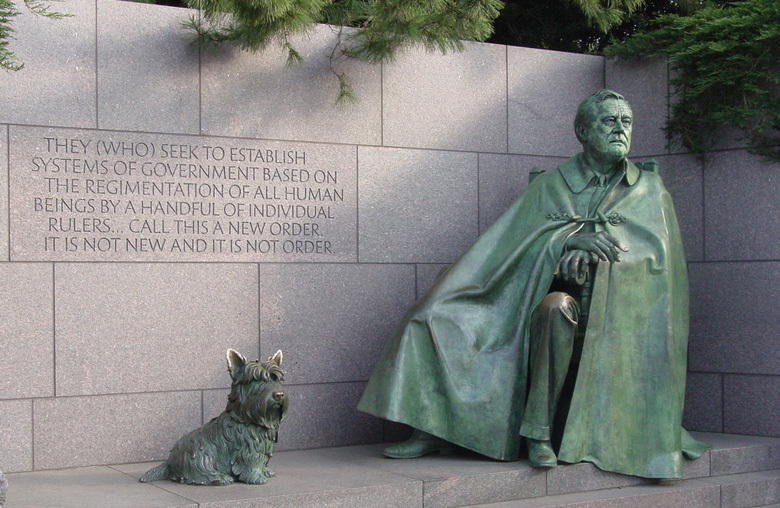 Franklin Roosevelt determined that the circumstances of the Great Depression required an energetic response by the federal government. However, he found that the Supreme Court proved to be a formidable obstacle. After the Supreme Court issued a series of opinions striking down New Deal federal legislation on matters previously considered solely the domain of the state as well as progressive state legislation, such as maximum hours and minimum wage laws, Roosevelt came up with the preposterous idea of adding additional justices to the Supreme Court. After all, where is it written in the Constitution that there need to be 9 justices? Roosevelt threatened to add additional justices– to pack the court— to get his agenda past the Court. The crisis was averted when Justice Owen Roberts, a reliable Supreme Court vote against the New Deal agenda, changed his opinion and joined a group of justices supportive of the President giving Roosevelt a 5-4 win which upheld a Washington state minimum wage law. Roberts’ switch and the retirement of Justice Willis Van Devanter provided Roosevelt with a solid majority to uphold the New Deal legislation. 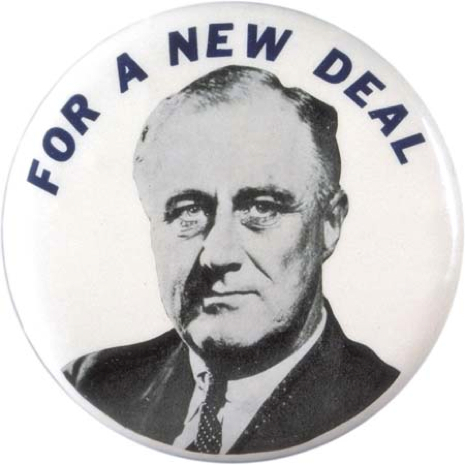 The New Deal legislation significantly expanded federal authority over tremendous swaths of economic and commercial activity. Each of these Presidents was derided during their terms as being despots, dictators, and wannabe kings. A faction of the country called them tyrants bent on reshaping the country in some perverse way. 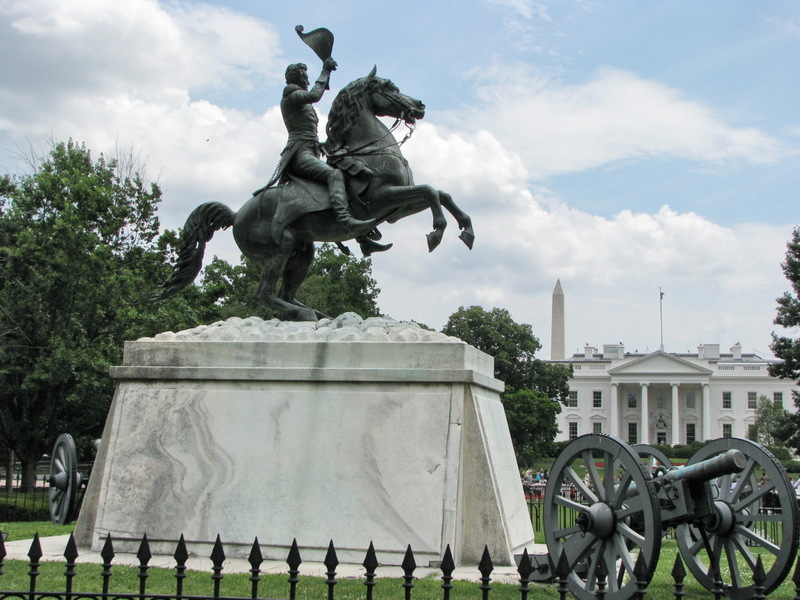 Yet today, each is honored with a place on our National Mall (True, Jackson is not on the mall- but his equestrian statute is right in front of the White House for the President to see every day.) Each of these Presidents is understood as being an essential part of this country’s progress and their allegedly improper power grabs have been revalidated generation after generation. This is not to say that they receive universal acclaim; there are plenty of holdouts who are anti-Lincoln for the Civil War and the modern day GOP and its court appointees are determined to undo the legacy of the New Deal. Yet, when historians rank the best Presidents, all three will make that list. They are on the list because they responded with energy to the crises facing the country. In doing so, they expanded the power of the Presidency (without creating tyranny!) and pushed the country forward. Contrast Lincoln with his predecessor James Buchanan. Believing he could do nothing about secession or slavery, Buchanan allowed guerrilla warfare to rage in Kansas and Missouri through much of his term. Buchanan felt he had no power to stop secession. In other words, that the President of the United States was powerless to stop the dissolution of the union. Little wonder that there is no monument to Buchanan and he routinely fills out the bottom slot when historians rank the Presidents. 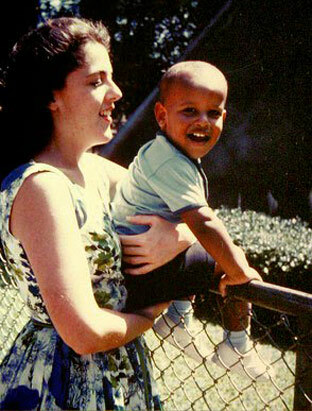 All this is to say that history reveres Presidents who have a dynamic view of their power. It has now become clear that Congress has no intention of taking up any meaningful immigration reform. This is despite an acknowledged crisis. Families are being torn apart, the administration is closing in on 2 million deportations, businesses can not get the workers they need, and national security and public safety are compromised due to the failure of Congress to act on immigration reform. It is time for the President to be worthy of the slurs hurled at him by the know-nothings in Congress. It is time for the President to make a bold claim of Presidential authority and place a hold on all bust the most serious removals. History will reward him if he does. Lincoln or Buchanan? The choice is the President’s. Coca-Cola had a beautiful advertisement during the Super Bowl. The ad featured America the Beautiful sung in a variety of languages by Americans of all different ethnicities. It is easy to be jaded and cynical in that this was an attempt to sell one of the more unhealthy products we have created. However, in the current political climate and the debates raging on immigration, identity, diversity and multiculturalism, the Coke ad showed that one of the most successful companies on the planet has cast its lot with a multicultural and inclusive America. Of course, it made the decision to produce the ad based upon demographics, market research and a bottom line analysis and not due to adherence to a great moral principle. But honestly, who cares? Purity tests are for Stalin. Coke’s ad represented a vision of America that is not only accurate but also beautiful in its kaleidoscopic inclusivity. Lots of words have been written about the backlash against Coke for airing the add. We will not waste our time on these modern-day know-nothings. They are destined for the dustbin of history and we hope that by failing to give them more attention, we will only accelerate that process. What the Coke ad did for me was remind me of a talk I have given to second graders at Lafayette Elementary School in DC twice in the past three years and I will certainly do it again when my youngest reaches that grade. The second graders study immigration and I get to spend a morning with the seven year olds and talk about immigration with them. It is always fascinating and hilarious. But what is so amazing is how seven year olds simply get it. They understand why people immigrate. Even if they do not understand the complexities, they understand that people have come to America because they dream of a better life. The concept is entirely natural to them. 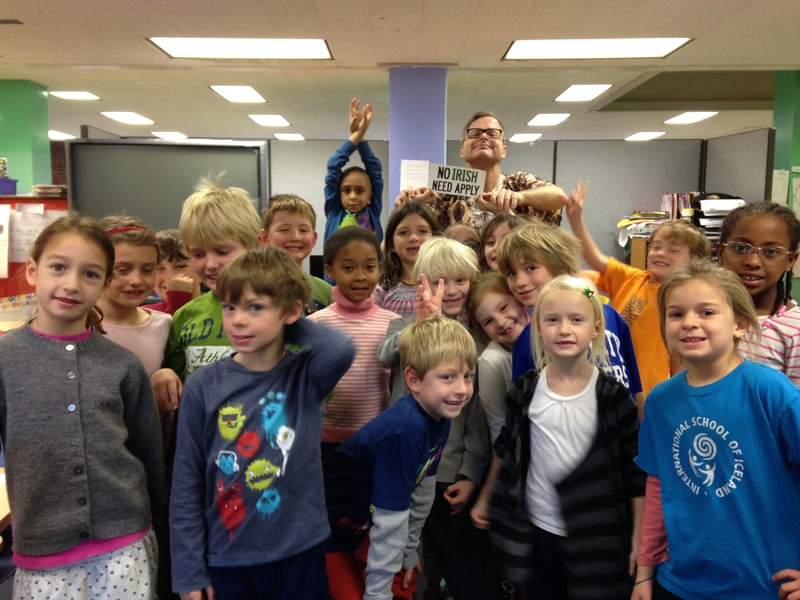 I always start my discussion with the second graders by explaining that America is an idea. Unlike, for example, being French, a person is not an American because her mother, her mother’s mother, her great grandmother and so on were all born here. A person is American because she and her family believed in the ideals of the American experiment, ideals we have not always held up, fought wars to establish and keep struggling to realize. I explain to them that their parents or grandparents or great-grandparents came to this country so that one day they could attend Lafayette Elementary, so that they would be raised believing that they can do anything. So that their lot in life would not be pre-determined by the circumstances of their births. This may seem like high-falutin’ stuff for second graders, but they understand that America is not a land of kings and czars, but a land where an unschooled frontier lawyer could become the greatest president this country has ever seen and that a mixed race son of an immigrant could be the first black President. After discussing that for a while, we turn the talk to tacos. The kids always understand that the food they love comes from somewhere else and they are always grateful for the presence of these cuisines that they have come to love. Growing up, I thought all food was Italian (it was Long Island), but these kids are surrounded by Ethiopian, Chinese, Japanese, Lebanese, Central American and African cuisine. They are bearers of remarkably diverse culinary passports. So, the Coke ad reminded me of these kids who understand and value immigration and think that their world is a more interesting and better place for having a broad spectrum of ethnicities at their feet. They are growing up in an age of incredible richness and texture, a richness that was captured beautifully by the Coke ad. 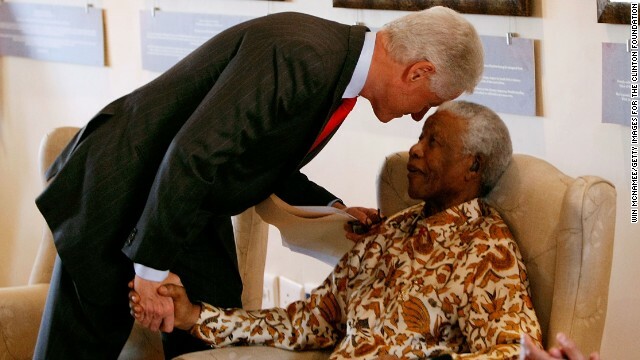 As accolades from world leaders pour in to remember Nelson Mandela, it is hard to recall that for decades, much of the world accepted the apartheid South African government’s designation of Mandela as a terrorist. It would be tempting to write that designation off as a relic of the Cold War, unfit for these modern times. Yet, it was not until 2008 when Nelson Mandela and the African National Congress were removed from the U.S. terrorist list. 2008! Are you kidding me? Twitter and Facebook have been around longer than Mandela has been off the U.S. terrorist watch list. George W. Bush (43), and not George H.W. Bush (41) signed the legislation removing him from the list! Miley Cyrus was already Hannah Montana by then! Nelson Mandela was released from South African prison in 1990. At the same time, South African President F.W. DeKlerk legalized the existence of the African National Congress, Mandela’s political party. In 1993, Mandela received the Nobel Peace Prize. Mandela was elected as President of South Africa from 1994 to 1998. In 2002, Mandela received the Presidential Medal of Freedom, the highest civilian award granted by the United States government. The African National Congress was added to the list of designated terrorist organizations in the 1970s. There it remained for decades. In 1989, the Berlin Wall fell and shortly thereafter the Soviet Union collapsed. As the world charged, South Africa did too. Crippled by U.S. sanctions, which were imposed over President Ronald Reagan’s veto, the South African regime released Mandela and entered into a new phase of democracy that included all the citizens of South Africa. Yet, the U.S. continued to consider the ANC to be a terrorist organization for decades. Designation as a terrorist organization has a wide-ranging impact on an organization, its members, donors, and supporters. In areas from banking to criminal law, the impact is profound. However, it is in immigration matters where its impact is most often felt. Members and supporters of designated terrorist organizations are denied admission to the U.S. If they make it in to the United States, they can be denied asylum or residence. The bar does not only apply to the leaders, but to people who have provided “material support,” a broad term that has been used to deny admission to a client of ours, an ophthalmologist living in Canada who was extorted by members of Hezbollah into giving money. The terrorism related grounds of inadmissibility (TRIG) are noted for the inflexibility and their durability. Although the Secretary of State has the authority to revoke the designation of certain organizations and the Secretaries of State and Homeland Security can grant waivers of inadmissibility to members of designated groups, it took an act of Congress to make it happen for the ANC. It was not until 2008 that Congress passed a law directing the Departments of State and Homeland Security to remove the ANC from the terrorist watch list. H.R. 5690 was passed to “remove the ANC from treatment as a terrorist organization for certain acts or events, provide relief for certain members of the ANC regarding admissibility and other purposes.” Secretary of State Condoleeza Rice called it an embarrassment that she had to grant a waiver to Mandela and members of his entourage whenever he sought to travel to the U.S. This lengthy delay demonstrates the bureaucratic difficulty of getting off the designated foreign terrorist organization list. Despite more than a decade of redemption and rehabilitation for the ANC, the executive branch proved incapable of revisiting the designation and normalizing relations with the new leadership of South Africa. This problem persists today. Thousands of individuals find them caught in the grips of inadmissibility due to nominal contact with designated terrorist organizations. Once that connection has been made, the government has proven incapable of undoing it even where the facts and circumstances clearly warrant it. Another group that has managed to get itself off the foreign terrorist organization list is the Mujahedin-e-Khalq, an Iranian exile group opposed to the murderous Iranian government. In a misguided effort to appeal to perceived moderates in the Iranian government, the U.S. designated the MEK a foreign terrorist organization in 1997, hobbling the most viable opposition to the Iranian regime. It took several years of litigation to force Secretary of State Hillary Clinton’s hand to remove the MEK from the list in October 2012. However, even the removal of the MEK from the designated terrorist organization list has not facilitated the admission of close to 3000 Iranian refugees living in danger at Camp Liberty in Iraq. The Liberty refugees formerly lived in Camp Ashraf in Iraq and served as a base of political opposition to the Iranian government. In a deal to help the U.S. military in Iraq, the Ashrafi refugees moved to Liberty with the expectation of resettlement as refugees in the U.S. and other countries. A year after the revocation of the terrorist designation and the move from Ashraf to Liberty, the refugees wait for the U.S. government to navigate their admission due to the lingering stain of the terrorist designation. In the meantime, on September 1, 2013, armed assailants attacked those left in Camp Ashraf, killing 52 MEK members. The delay by the U.S. in addressing the consequences of a faulty terrorist designation is causing lives to be lost. We have little doubt that in time the designation and vilification of the MEK will be seen to be as repugnant as the designation of the ANC. Like the ANC did, the MEK struggles against a brutal and tyrannical regime that denies fundamental human rights to its citizens. It is quite possible that one day the MEK leadership will be the new government of a democratic and secular Iran and we can only hope that a future U.S. Secretary of State is not embarrassed by the MEK’s treatment by the U.S. government. 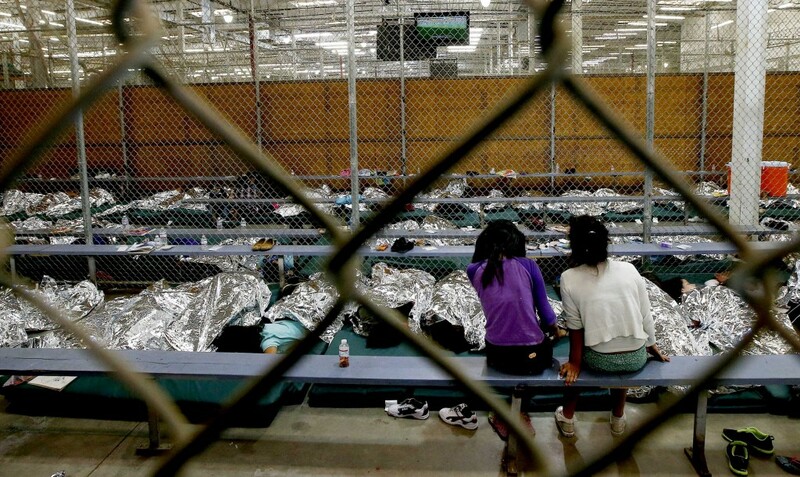 This week, the U.S. Court of Appeals for the Fourth Circuit, the federal appellate court which sets federal law in Maryland, Virginia, West Virginia and the Carolinas, will hear two cases regarding U.S. asylum law. In Temu v. Holder and Martinez v. Holder, the court will consider the contours of the protected ground of “particular social group.” The decisions in these cases will determine whether asylum law will be more inclusive or whether the law will shut many deserving applicants out of the protection of asylum. Asylum may be granted to an individual who can demonstrate that she has suffered persecution or has a well-founded fear of persecution in her home country on account of her race, religion, nationality, political opinion or membership in a particular social group. These five bases for asylum are known as “protected grounds.” Whereas political opinion, race, religion, and nationality are all fairly intuitive, U.S. law has had to define “particular social group” on a case-by-case basis. The results have been fairly uneven. The watershed decision establishing what constitutes a particular social group is a 1985 decision by the Board of Immigration Appeals, Matter of Acosta. In Acosta, the Board defined a particular social group as a group of individuals who share a certain immutable characteristic that can not be changed or is so fundamental to their identity that they should not be required to change. The Acosta definition served asylum law pretty well for two decades. Since Acosta, homosexuals, members of clans, family relationships, women opposed to female genital mutilation, women who refuse to conform to strict religious codes, and women seeking escape from domestic violence have all been recognized as social groups for the purposes of asylum. However, in the last few years, the Acosta standard has come under attack by the Board of Immigration Appeals. In Matter of C-A-, the BIA added a new element to the standard Acosta definition: social visibility. While purporting to uphold the Acosta definition, the BIA stated that members of a particular social group must “be easily recognizable and understood by others to constitute social groups.” By emphasizing social visibility, the BIA added a new element and resulted in denying asylum to a confidential informant against the Cali cartel whose life was in danger as his informing activities had been discovered. The BIA found that confidential informant, by their very nature were not recognizable to the public. The carnage continued with Matter of SEG and Matter of EAG. In Matter of SEG, the BIA held that Salvadoran youth whose life was in danger because they had resisted recruitment by gangs did not constitute a social group that was recognizable to members of society. In Matter of EAG, the BIA also found that persons resistant to gang membership and those who might be mistakenly identified by police as gang members did not qualify as social groups. CA, SEG and EAG have severely limited the class of individuals who could qualify for asylum by claiming persecution on account of membership in a particular social group. Some courts have rejected the BIA’s analysis. In Benitez-Ramos v. Holder, the U.S. Court of Appeals for the 7th Circuit in Chicago rejected the social visibility test, insofar as the BIA test required that a group member be visible on sight. The 7th Circuit held that the social group of “former gang member” was immutable and that gang membership is easily identifiable, as is former gang membership. The 4th Circuit will now consider in Martinez whether a young man who was conscripted into a gang and subsequently left can obtain protection under U.S. asylum law. Mr. Martinez was attacked on multiple occasions and was aware that gang leaders had given the “green light” to other gang members that they were free to murder their former compatriot. In its decision in Martinez, the BIA decided that Congress could not have intended gang membership and therefore former gang membership to create an opportunity for protection under U.S. law. Congress could not have intended for criminal gangs to be social groups worthy of protections of U.S. law. The 4th must decide whether former gang membership is immutable and how closely it will adhere to the BIA’s social visibility test. In Temu, the 4th Circuit must consider whether a man who was imprisoned and tortured in his home country of Tanzania because he was acting erratically as a result of his mental illness qualifies for asylum. When Mr. Temu was beaten in the prison in Tanzania, he heard the guards call him names reserved for the mentally ill, except in Tanzania the belief is that such behavior comes from demonic possession rather than biochemical origins. The BIA held that Temu was imprisoned because of his behavior and not because of his mental illness, even though the record is clear that, once in prison, he was treated differently than other prisoners because of his mental illness. 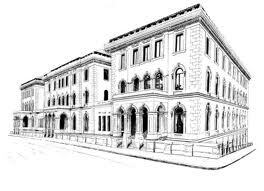 Both cases are being argued by experienced and talented lawyers who are working pro bono. Argument is this week and we expect decisions in the spring. We will keep you updated and have our fingers crossed that the law will become more welcoming from those seeking violence and persecution in their home countries. Last week, among the hundreds of American flags raised at Tuesday’s March for Human Dignity and Respect, a few Mexican flags were spotted. That’s right. 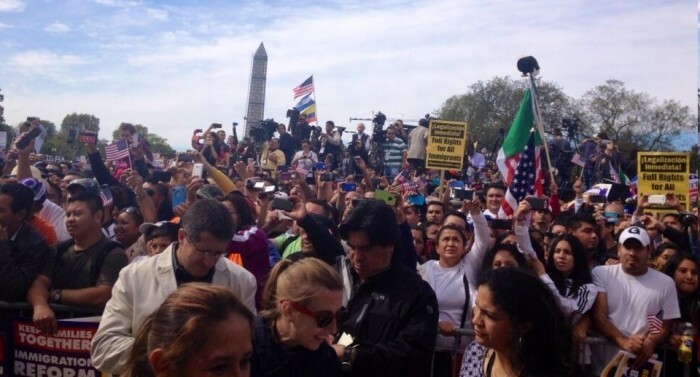 Mexican citizens carried the Mexican flag in Washington DC, the capital of the United States, of all places. The reaction of the anti-immigrant crowd was predictable- this was akin to General Santa Anna’s troops razing the Alamo, slaughtering the proud Texans within. The FOX news crowd immediately seized upon the Mexican flag to show that the immigrants marching for a solution to our broken and corrupt immigration system where not like the immigrants of the past but rather a different breed who want nothing to do with American customs and culture. It is worth pointing out at this time that Italy is mired in a prolonged economic slump with a government that seems incapable of responding to the crisis. 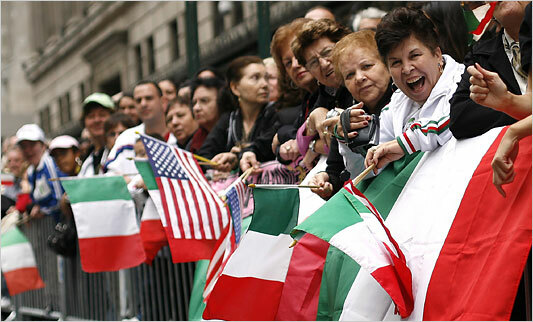 Italy has a strong history of organized crime that work in tandem with Italian-American gangs in the U.S. At times like this, the refusal of Italians in the U.S. to integrate into mainstream American culture and renounce their warlike tendencies is troubling. 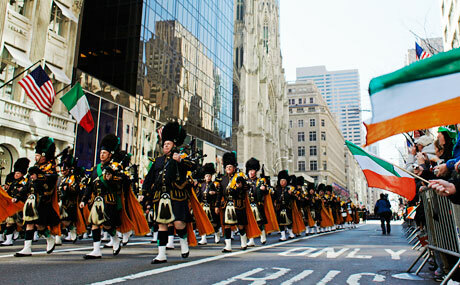 Then I learned that much of this country embarks upon a drunken bacchanalia every March 17 in honor of an Irish saint. On March 17, otherwise abstemious and virtuous Americans become infected with the debauchery well known to afflict the Irish. 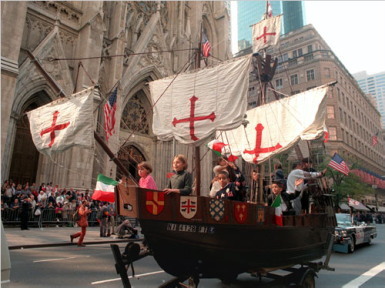 Waving Irish flags and consuming vast amounts of alcohol, the Irish and those easily influenced by ale and liquor make a mockery of American integration. Finally, my studies led to some real Americans eager to take back their government. I saw a protest this weekend that took into account the historical flags of our American forefathers. 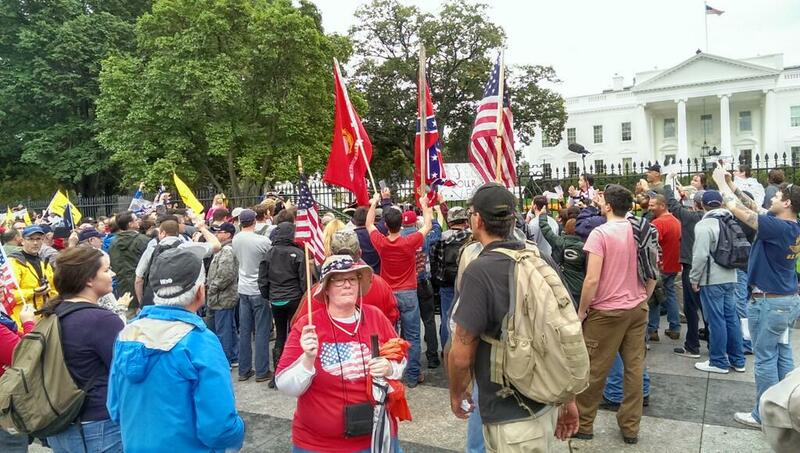 That one in the middle, known as the Confederate Battle Flag, was flown when Southern states, afraid of the direction of the country, rebelled violently against the national government, which was increasingly dominated by an industrialized and heavily immigrant north. Guess, I sort of understand the fear.